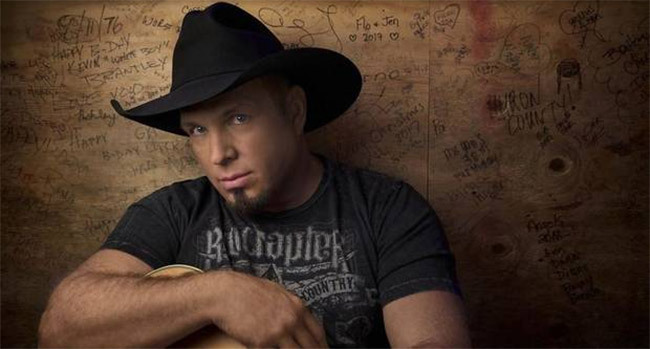 Garth Brooks is set to release a Fun new album in 2019. The country superstar teased last week that he’d announce the title on this week’s Facebook Live Inside Studio G series and he held that promise much to fans’ delight. The album is expected to be released sometime this spring, although no further details were given. Hints include Amazon pre-orders, which have been available since June 2018, staying at $10 through Brooks’ birthday, February 7th. Advanced tracks include the lead single, “All Day Long” and its B-side “The Road I’m On” — which is also the new stadium tour opener — as well as current single “Stronger Than Me.” A rough mix of the America’s Got Talent song “Courage Of Love” has also been released to fans who’ve pre-ordered, although no word if the song will be included on Fun. “The vinyl is the word for 2019. So just think of anything… forward slash vinyl. Just follow it with that — everything we’re gonna do. It’s gonna be fun. Vinyl is coming. So now let’s talk about how vinyl is coming. Surely not on the new record, too? Yes. Vinyl is coming on the Fun record. We gotta figure this out. Don’t know how we’re gonna do this yet, but we will figure it out. That’s still not the final news. The vinyl news is coming, but let’s talk about that special number, shall we?” Brooks says with enthusiasm. The package is expected later in 2019, but no release date has been unveiled as of press time.